I first envisioned Taproot Farm & Environmental Education Center (Taproot) back in 2002 after completing my Master’s degree project researching the level of environmental education (EE) in Coos County. Long before it was even called Taproot, long before boards and mission statements, before Facebook posts and websites, before the Lancaster Community Garden or the Root Seller Marketplace even existed, before all of this, the idea for Taproot emerged from a simple notion of teaching people to care for the Earth. I’ve often said that Taproot was an idea that I kept on the top shelf of my closet. I would take it out on occasion, dust it off, rework it, and then put it back for a couple more years. I was never quite ready to take it out for good, nor did I have the confidence to share it with anyone else. It wasn’t until I was in the middle of completing my doctoral research and later working as a founding faculty member at a Waldorf high school in Vermont that I knew Taproot was ready to be born. My 9th grade students from the Central Vermont High School Initiative on top of Mt. Willard at the end of our Geology block for which we spent 5 days in the White Mountains. When I entered the field of EE I knew that I wanted to teach others to love the Earth and learn about their environment, but more specifically I was interested in how one is deeply moved to care. I had the opportunity to work in several EE centers over the years with participants of all ages. What I encountered in the field, however, was a dichotomy between methods and content on the one hand and desired outcomes on the other – we wanted our students to ultimately care for the environment, yet in the end what we were doing felt less about care and more about drilling facts into young minds and creating fear or guilt over environmental destruction and demise. And when working with schools, I felt that programming was very limited and used as a token to fulfill a certain curriculum requirement. 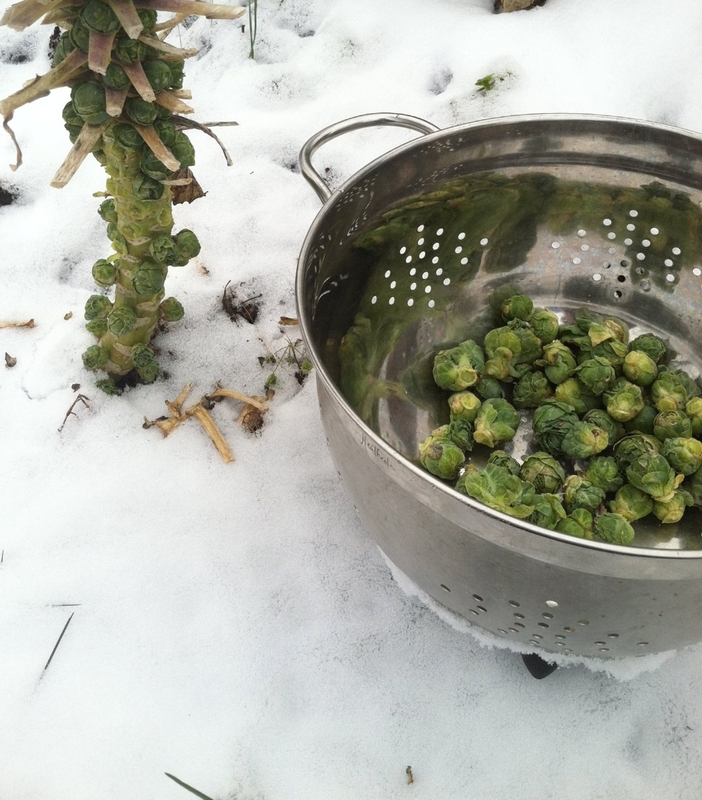 After years of research, I created Taproot with the idea of doing just the opposite. As part of our long-term plan, we are working toward creating a learning center whose campus is an educational homestead comprised of a working biodynamic farm, and whose programs and services are living systems rooted in the land and in community. In addition to offering programs, workshops, and events for our local community, we will offer alternative education semester programs for high school, gap, and undergraduate students. A Forest Kindergarten and a Waldorf inspired elementary program are also being considered. 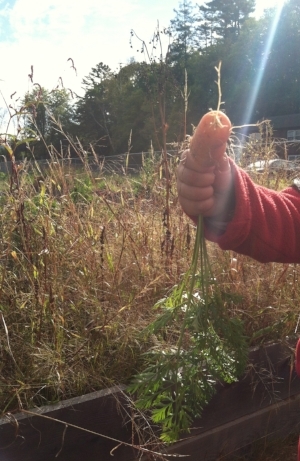 Children from the Sunnybrook Montessori School help harvest carrots at the Lancaster Community Garden for the food pantry. We have seen extraordinary growth since Taproot was born almost three years ago – this year we hired our first employees, the Root Seller Marketplace saw a 44% increase in sales from 2016, the Lancaster Community Garden had the most beds rented this past summer, and our first education programs began with the Lunenburg-Gilman schools. I’m very excited for 2018 with even more education programming planned, including a 1-day a week after school program at Lunenburg-Gilman schools, a 2-week summer camp, our first seasonal festival, the return of Rockin’ the Park, and much more. Having worked for so many years in the nonprofit world, I have experienced how finding funding for programming and operations can be stressful and competitive. I didn’t want Taproot to sacrifice programming over lack of funding. Taproot was set up so that income from one of our initiatives, the Root Seller, would be a main income stream for the nonprofit as a whole, effectively raising "funds" by implementing Taproot's mission (via sales) instead of the traditional model of fundraising for the delivery of our mission. The Root Seller allows us to live out our mission every day by directly connecting us to our local farmers and food year round. We are inching closer toward this model of funding. However, at this time, we are looking to raise $2500 by the end of the year to help fund our education programs in 2018. If you haven’t already done so, we hope that you will consider giving to Taproot – either by credit or debit card on our website, mailing a check to PO Box 245, Lancaster, NH 03584, or stopping in to the Root Seller. Please know that your generous contribution of any amount is tax-deductible. We are grateful for our community and look forward to you being part of our continued growth. PS – if you haven’t signed up for our newsletter yet, please do so at the bottom of the page. And you can also follow us on Facebook or Instagram!